One of my friends once asked me how many languages I can understand and speak fluently. I said basically I can understand several languages but only 3 languages I can speak fluently (Bahasa Indonesia, my local language, and English). I was born and grew up in a multicultural family. Both of my parents have different mother tongue. In Indonesia, we have so many ethnic groups (around 300 groups) an and each of them has different culture, language, and dialects. But we have Bahasa Indonesia as a national language. So, no wonder if you meet Indonesians and find out that they can speak different local languages. Actually, it is quite normal for people nowadays to speak more than one language. Statistics showed that more than half of world’s population can speak at least 2 languages. In Australia, based on census data in 2011, there are around 5 million people who can speak another language besides English at home. The various languages are Mandarin, Italian, Arabic, Cantonese, Greek and Vietnamese with percentage 1.6%, 1.4%, 1.3%, 1.2%, 1.2% and 1.1% respectively. It is the effect of cultural blending, globalization and education system. But have you ever wonder what happens to your brain when it is trying to process the information from different languages? We’ll try to find out here. Multilingualism is a condition where individual or a group in the community can use more than one language in their daily life. There many factors that can make people acquire more than one language. The most obvious one is the social demand where globalization playing a big role. A rapid growth and transfer of information through internet make people in such a competition to absorb knowledge from everywhere and anytime. Learn new language is an obligation for young generation right now. For instance, students at elementary school in my country must learn English (in some schools Mandarin too) as one of their core subjects in school. The cross-cultural marriage is also one contributor. Kids who grew up in multilanguage family tend to develop an ability to multilanguage speakers. In sense of social behaviour, the ability to speak both parent language may give them access of acceptability within the whole family. How our brain processes the sound? When we hear someone’s speaking, our brain will spontaneously process the sounds. 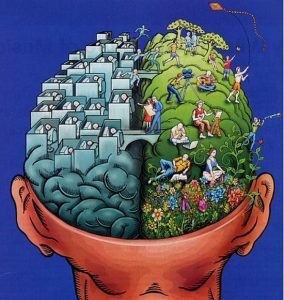 There are different parts of brains that responsible to deal with language but they are mainly located in the left hemisphere. When the sound reaches our ears (in the range of audible wavelength), our ears will change the sounds into a neural impulse and forward them to four major area in our brain: the auditory cortex, Wernicke’s area, Broca’s area and the motor cortex. In the auditory cortex, our brain will analyze the source of the sounds and when it was heard, and then forwards that information into more specific area. The next step is the Wernicke’s area translating the impulse into meaningful words and phrases. Not only stop on that step, our brain then manages to give response. Broca’s area is the place to build language and motor planning. And when we are speaking, the motor cortex plays role in controlling the movements of our lips. 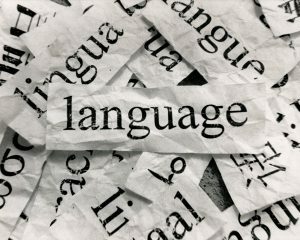 What happens in the bilingual brain? You may wonder how can our brain process different language at once. Is it works like switch on/off way? The answer is NO! Based on research, in bilingual’s brain, both language is active when they speak one of the languages. It means that the brain must process two languages at the same time. So, when I speak English, my Indonesian language is still active. That’s a good and bad news for us. The good news is the bilingual can be a multitasking person. But the bad news is it tends to weaker their verbal skills. It means that they will have lesser vocabulary in each language compared to monolingual. Hi Natalia, super interesting topic! As someone growing with two languages, my relatives, who only speak one, always ask me if I translate one language into another in my head before speaking. Obviously this isn’t the case. It’s a relief to finally be able to explain this to them in words. Hi Richard. I’ve read some articles about research among bilingual children in some countries. They show that children tend to easier acquire the second language than adult because they are more sensitive in distinguish sounds. I’m not really sure that it will affect their ability to learn another language easily when they grow up. But some experts said that when they used to be exposed to different language since early age, it would make their brain more sensitive to sounds and that’s mean they can accept new language easier than monolingual children. Yeah. My English is not really good as well. That’s why I found it really interesting and motivated me to keep improving my English. Hi Natalia. 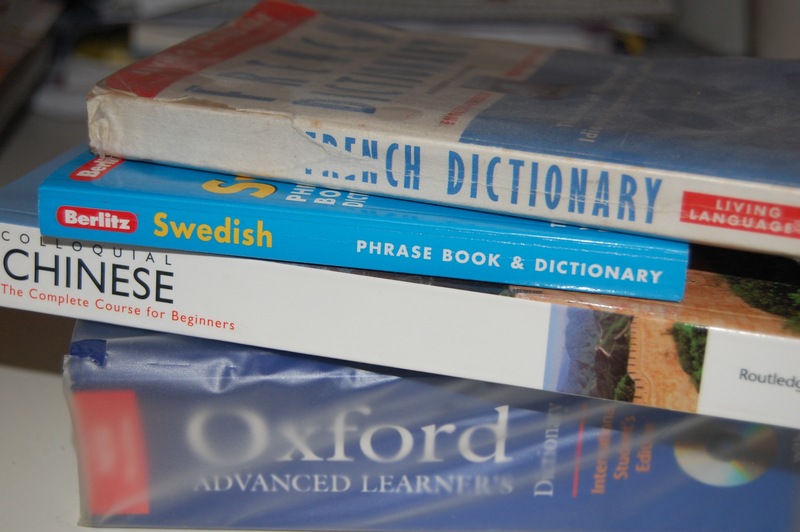 My children have grown up speaking two languages so I was really interested in this article. Do you think there is any credibility in the claim that, if you learn a second language as a child, learning other languages in later life is easier? This makes me all the more excited to be taking on language classes at the end of the year. My English is already pretty terrible so the negatives can’t be too bad, while lowering my risk of degenerative brain disease sounds fascinating! Cool! I didn’t know that there were benefits of reducing my chances of getting degenerative brain diseases. I think you hit the point – it is definitely a valuable skill to have in the globalised world – it helps to take down so many cultural barriers.